According to Healthline Media Inc., approximately 15,000 children are diagnosed with diabetes mellitus each year in the United States. Type 2 diabetes is the most common variety of this disorder because it is caused by obesity and physical inactivity. In the past, children rarely developed diabetes, but today, there is an epidemic of cases. What Are the Symptoms Of Having Type 2 Diabetes? The main cause for having diabetes is obesity, and lack of exercise is the primary reason why children are overweight. Today, children seldom get any exercise because they ride a bus to school or they are transported in a vehicle by their parents. Many schools no longer have recesses that permit playing outside because there is too much schoolwork to complete, and in many neighborhoods, it is dangerous for students to remain on a playground. It is important for your children to exercise at least three times a week for a minimum of 30 minutes. You may want to have your child participate in multiple sports that are played either inside or outside a building. When the weather is nice, participating in an outdoor sport will expose your child to sunlight and fresh air, but if the weather is inclement, your child can enjoy exercise inside. You should also set a good example for your child by participating in physical activities as much as possible. 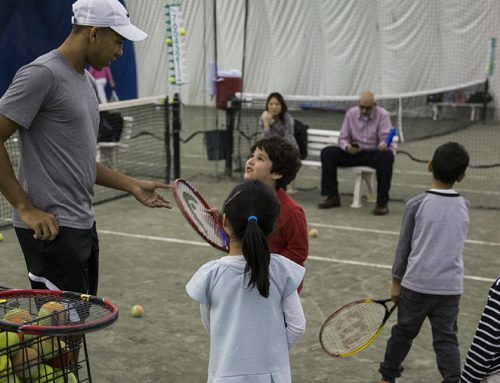 You and your children can ride bicycles together, or you can join a tennis class together. Instead of driving your children everywhere, walk as much as possible to keep them active.